Today I’m sharing this Lemon Cake with Lemon Cream Cheese Frosting over on Oh Sweet Basil. 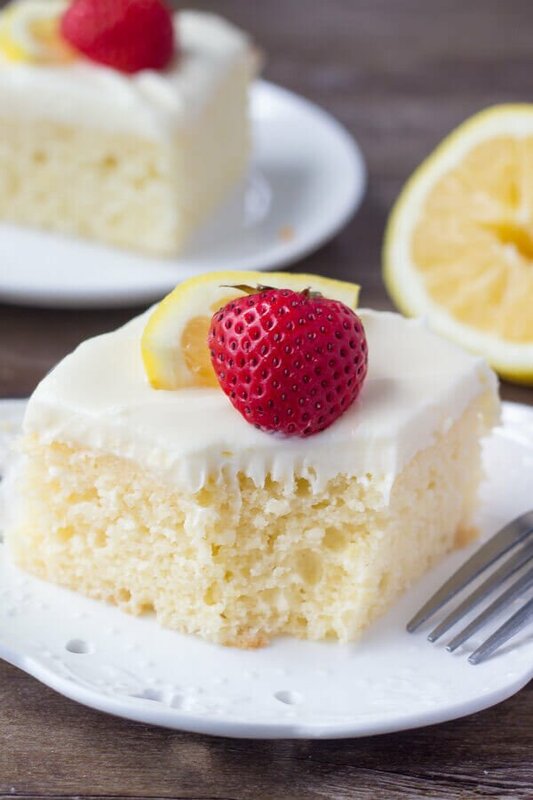 It’s a deliciously moist lemon cake made in a 9×13 inch pan, then it’s smothered with tangy lemon cream cheese frosting. 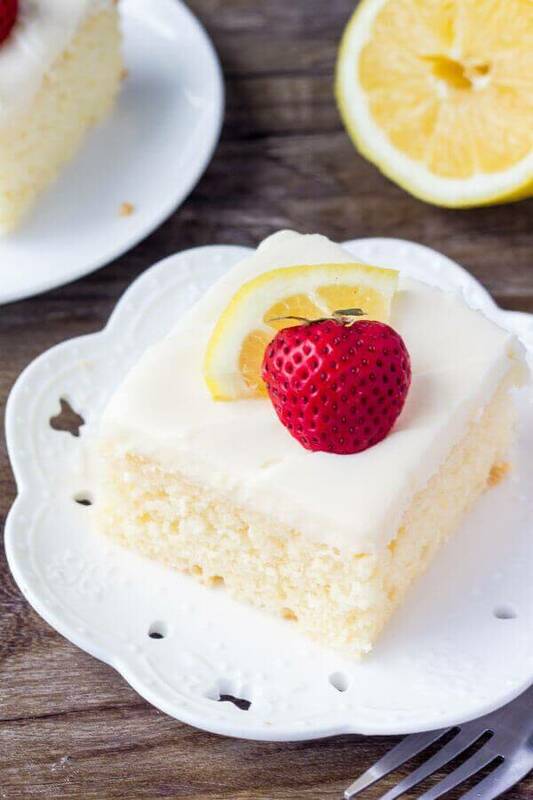 The lemon flavor of this cake is light & fresh, without being bitter or too tart. 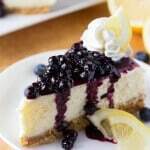 I love lemon desserts because they always seem sunshine-y and happy – even on the rainiest of days. The cake crumb is moist & oh so soft because we’re using sour cream in the batter. Then just be careful not to over mix the batter. My favorite part is probably the tangy cream cheese frosting though. It’s a fluffy cloud of cream cheese deliciousness with just a delicious hint of lemon. Because we’re making this lemon cake in a 9×13 inch pan, there’s way less messing around with decorating skills. 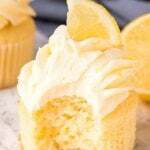 It’s simpler than making lemon cupcakes because we don’t have to frost each individually, and there’s way less effort involved than making a layer cake (which is always a plus for me). I topped each piece with strawberries for decoration and a pop of color, but that’s up to you. This lemon cake with lemon cream cheese frosting is always a hit. 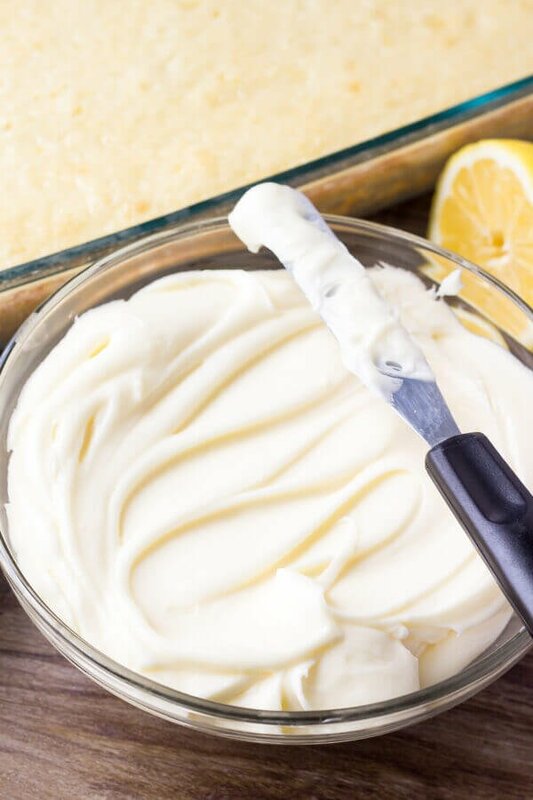 You’ll love the soft, buttery, moist lemon cake – and tangy, creamy lemon cream cheese frosting. So head on over to get the recipe!